On behalf of Admin of JML Law, A Professional Law Corporation posted in Pedestrian Accident on Saturday, Feb 09 2019. The other day, a motorist struck a person riding a scooter in Playa del Rey and then took off, leading police on a three-hour chase that went all the way to San Diego County. The man who was eventually arrested struck the person on the scooter while attempting to get away from police who were trying to pull him over for vehicle code violations. The victim was taken to the hospital and thankfully had non-life-threatening injuries. At JML Law, we know that pedestrians face many dangers when they are in and around the roadways. 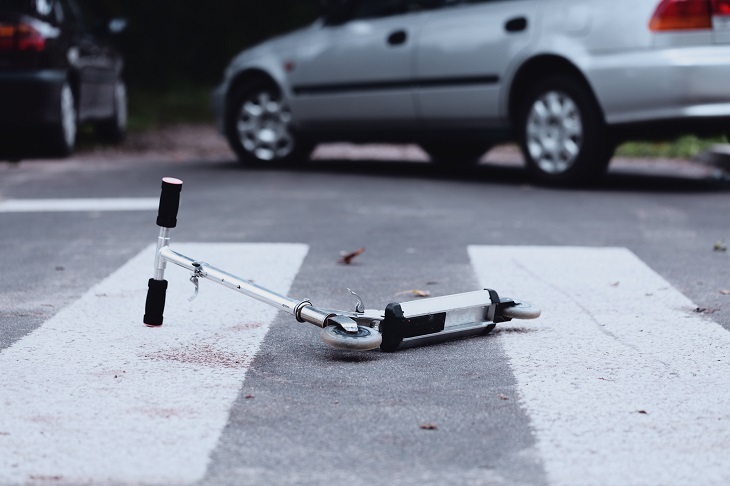 Whether they are walking, riding a bike, or cruising on a scooter, you need to know where to turn if another person’s negligence causes you harm. When you need a Los Angeles pedestrian accident attorney, call us today. Think for a minute about how vulnerable pedestrians are when they are around vehicles. Our bodies offer virtually no protection from the force of thousands of pounds slamming into them at high rates of speed. Sure, we do what we can to be safe, but we cannot control the actions and behaviors of the people around us. When a pedestrian is struck, there is a high probability that a serious injury will occur. This can mean spinal cord damages, brain injuries, internal organ damage, and more. All of these require extensive medical care and even long-term rehabilitation for recovery. The costs of pedestrian accident injuries can become tremendous. Do you know if your insurance will cover all of the expenses? What about the hidden costs of vehicle accidents, things like lost wages if you cannot work or vehicle and home accommodations for hospital beds or wheelchairs? Looking closer to home, Los Angeles County saw more than 6,000 pedestrians injured or killed for the same year. The dangers are real and around us each day. Drivers who blatantly ignore pedestrian right-of-ways, speed through intersections, and drive aggressively are major concerns. We also know that those who make the choice to operate their vehicles while impaired by drugs or alcohol are a danger to everyone in and around the roadway. A growing concern is the use of phones and other devices while driving. Despite government efforts to cut down on this problem, we still see far too many injuries and deaths due to distracted driving. When you need a Los Angeles pedestrian accident attorney, you can contact us by calling at 818-610-8800 for a free consultation today.